Turquoise may be the only gemstone on earth that can give you superpowers. According to Apache legend, you just need to find a turquoise stone in wet soil after a thunderstorm. Tie that bright blue stone to the end of your hunting bow and you will become an invincible hunter— your senses stronger, your mind sharper, your arrows truer. When an apache found such a turquoise stone, his tribe and family knew they would be provided for. 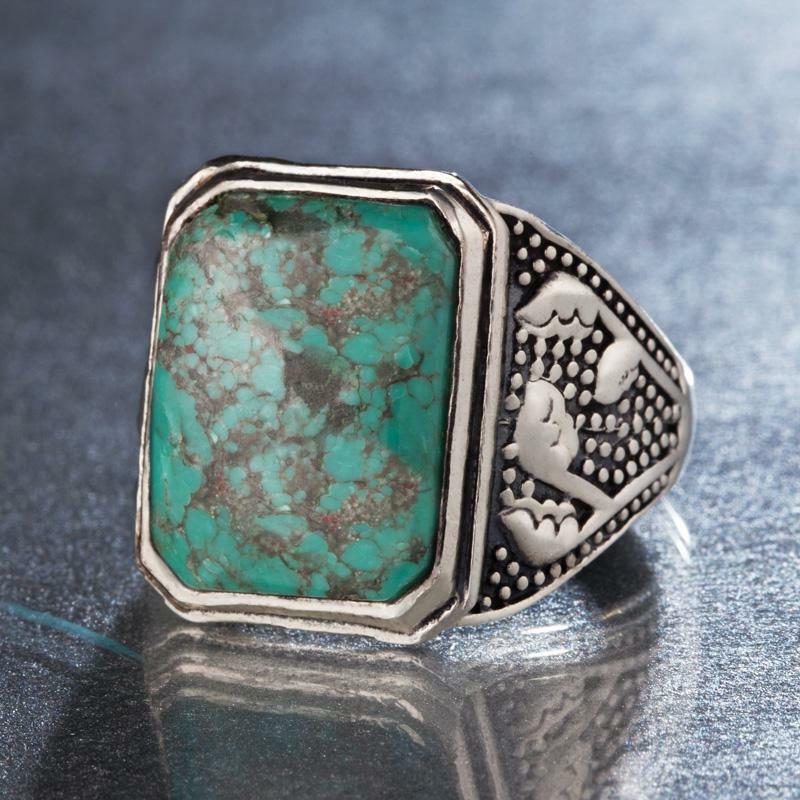 The Thunder Stone Men’s Turquoise Ring is a 15-carat turquoise gemstone, pulled from the earth and set in a .925 sterling silver ring. This sizable stone would be wasted on the faint of heart, but is the ideal look for a man who’s ready to be a modern-day superhero. Whether your weapon of choice is a bow and arrow, a laptop, or a set of tools, prepare yourself for greatness as you slip on the Thunder Stone.